This is something that I learned from Janet Lansbury – Elevating Childcare™ with my second, and never knew with my first child. I wish I could turn back time because I have a feeling I am still paying for it. My daughter expects to be helped and entertained a lot, and now I know why. My son is the opposite, he can spend a lot of time alone just doing his own things, and being happy with the little entertainment (in my understanding) that he gets. Anyways, this makes sense to me and I thought I’d share. “When babies are playing, it’s next to impossible for us to know what they’re really up to unless they show us by “doing it”. For example, observing this 6 ½ month baby (who was facing away from his mom and towards me), I could see that he was not looking at the toy she was about to give him. He was looking across the room at something else. I’m not sure what he was focused on, but that hardly matters. 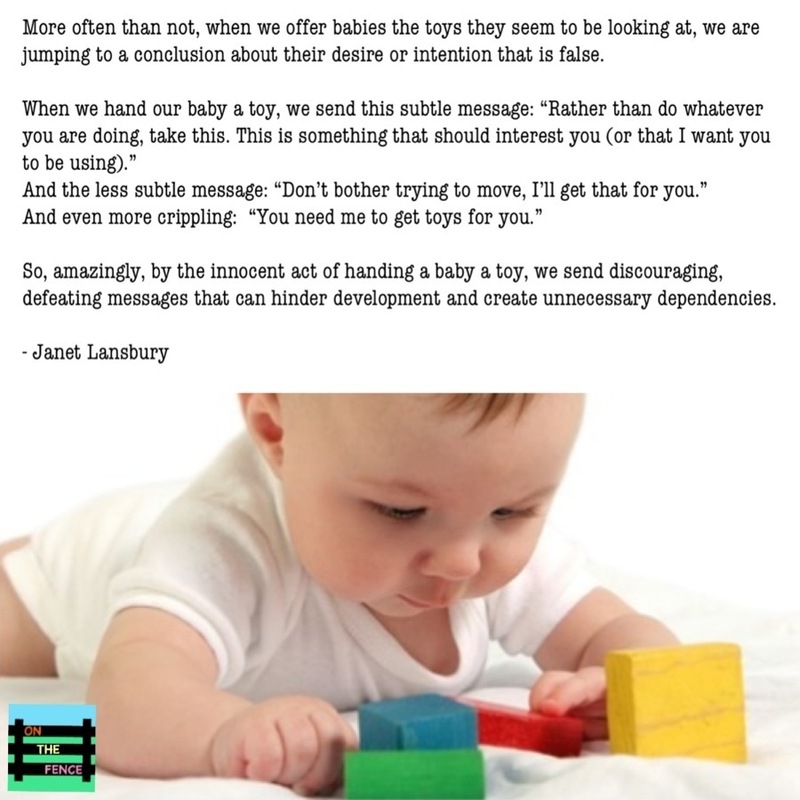 More often than not, when we offer babies the toys they seem to be looking at, we are jumping to a conclusion about their desire or intention that is false. Even if we see the infant reach toward the toy, can we be sure that the child isn’t enjoying the process of stretching his arm toward the toy? Who are we to assume to know our child’s plans? Whether they are attempting to self-soothe, develop motor skills or solve problems that might crop up while they play, our babies need to be allowed to try, and to do so with our support. Mastery and the feelings of competence, agency, and self-confidence that come with it are vital components for a lifetime of health and happiness. Mastery is possible for every infant. 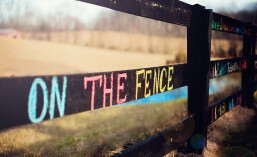 We just have to know how to facilitate it. 2. A safe, cognitively challenging environment in which the infant has complete freedom of movement. This entry was posted in What Parents Should Know and tagged Baby, Parenting. Bookmark the permalink.